The band has surprised me by doing neither! Not only is Dream Theater’s fourteenth album not a bloated concept album – in fact, at 57 minutes, it’s their shortest besides 1989’s When Dream and Day Unite – but arguably they haven’t returned to the “longer format” either, with once again no songs edging over the ten-minute mark. 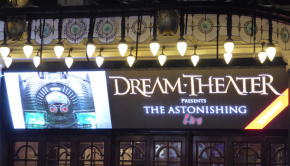 Could this be Dream Theater doing something new? In a way, yes! Many critics are already claiming that this is Dream Theater at their most accessible, and while I’d disagree – there’s no Hollow Years– or Through Her Eyes-style crooners on this album – I can see what they’re getting at. The shorter, more individual songs really do matter here, and without a longer piece like Illumination Theory to distract from them, it does feel like they all have an equal place on Distance Over Time. Unfortunately, the album starts with its lead single and very worst track, Untethered Angel, a song that nearly put me off reviewing the album altogether. This song is Dream Theater going through the motions of creating the obligatory prog metal single which automatically can’t be as interesting or inspired as any of the other tracks on the album. This is a tradition which includes songs like As I Am, Constant Motion, A Rite of Passage, Build Me Up, Break Me Down and The Enemy Inside. Bizarrely, it’s ritually regarded as the emissary for the album despite being among the least interesting tracks. Perhaps it’s because the band has worked with this formula for more than fifteen years that Untethered Angel sounds like the worst of all of them. But I think it’s more than that. When I sat down to listen to the single on the day of its release, I really felt like the band had a lot to prove; firstly The Astonishing had failed to impress a large segment of their audience and had become frequently regarded by fans as the band’s worst album. It must be said that you’re doing pretty well as a band if a two-hour concept album is your worst. Secondly, the band’s creativity has come into question over the last decade, as the thirty-year-old band has been overtaken by newer, fresher groups such as Haken, so Dream Theater really needed to show they were still a creative force to be reckoned with. Instead, Untethered Angel is about as bland a Dream Theater song as you can imagine. It’s still very much trademark Dream Theater – chugging heavy riffs, odd time signatures, virtuosic instrumental section – but all the life seems sucked out of it with the banal choice of rhythms and chord sequences. Even worse, James LaBrie’s vocals are distorted almost beyond recognition and seem to sit somewhat behind the music. It’s as if the band seem ashamed that he’s still their singer. However, the moment that angered me the most was when the relatively simple sounding keyboard-guitar duel seemed to be inadvertently interrupted by the final chorus. My overriding thought was “You haven’t earned that final chorus yet. Try again!” Dream Theater’s instrumentals have always been the ‘money shot’ and rightfully so, giving the immensely talented band space to show their chops… without LaBrie nearby. With so much riding on this initial impression of the album, the band really needed to pull something out of the bag for this instrumental, and they failed to do that, simply throwing a few Dream Theater cliches at us before closing the song. I really thought they’d put the final nail in their coffin. Fortunately, the band decided to issue Fall into the Light next, a song with much more promise than the last release. Here, the band incorporate a slower middle section to contrast with the 5/4 chuggery that surrounds it, already giving as a less-than-basic song form to wrap our heads around. But in fact the heavy parts are surprisingly good too; the odd time signature works well and Mangini’s drums are surprisingly infectious, especially on the intro and 5/4 instrumental sections. This is, dare I say it, a solid Dream Theater song. It probably could have pushed the boat out a little more, but for a band this late in their career, I’ll take it. The last single from the album, Paralyzed, is actually the second track on Distance Over Time, and is just as humdrum as the first track, if not more so. If Untethered Angel is the Constant Motion of this album, Paralyzed is easily Forsaken. With only four minutes to play around with and a large chunk of that wasted building up the big forgettable riff in the intro, there’s really nothing interesting in this song to point out. At least Forsaken was in ⅞. Then, something… ahem… astonishing happens. 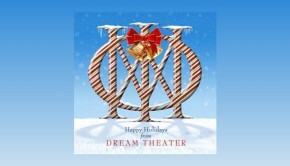 For the rest of the album, Dream Theater are… good?! Really good, in fact. You can feel it right from the intro to Barstool Warrior, the band is bringing out the big guns, emotionally, technically and creatively. Barstool Warrior has an untypical song structure, with few repeating sections throughout. The opening segment is upbeat and exciting while the outro is more laboured and emotional, with John Petrucci’s solos evoking a mood not too distant from The Best of Times. Despite the chorus’s catchiness, it’s not repeated in the final section, representing a bold songwriting choice by Petrucci. Drummer Mike Mangini’s lyrical debut Room 137 is short, but boy is it sweet. I’m not sure if the title is intentionally similar to The Shining’s Room 237 as I had originally thought, as Mangini explains the title is linked to both the song’s tempo and also a story about the theoretical physicist Wolfgang Pauli. 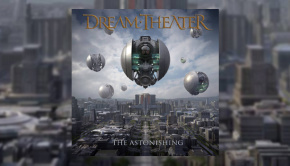 Nevertheless, this track affirms Dream Theater’s ability to write short-form heavy numbers. Relying heavily on a tom-based drum pattern by Mangini, this is also one of the first tracks we’ve heard where the band seem to have fully meshed with his style as a drummer. Indeed, this is the first album where I don’t really mind that Mike Portnoy isn’t with the band anymore. It’s been nearly a decade, and I’ve stopped looking to Dream Theater for inspirational drum patterns, and perhaps lowering my expectations was just the thing I needed to really get into this music. Mangini truly shines on this track and his place in the band feels stronger because of it. And then there’s S2N, for my money the best track on the album simply by being one of the most different songs the band has recorded in a long time. If you’re a Dream Theater nerd, you’ll remember the non-album track Eve from the early ’90s that was intoxicating in its simplicity and sheer beauty, quite unlike every other Dream Theater track at the time. While S2N couldn’t sound more different from Eve if it tried, the principle is the same: change your formula and people will pay attention. Right off the bat, John Myung is centre stage, churning out a blistering 15/8 riff. In most Dream Theater songs he’s simply inaudible or indiscernible under the layers of keyboard atmospherics. In fact, this is what’s so different about this track; most of the time we just hear Petrucci, Myung and Mangini rocking out with seemingly few overdubs or edits. This ‘raw’ Dream Theater sound is quite uncommon, especially in more recent years, and yet it sounds so fresh and full of energy it’s immediately addictive. During the instrumental, the three of them are firing on all cylinders, and it’s difficult not to be reminded of early Rush – the unpredictable stop-start section is strongly reminiscent of By-Tor and the Snow Dog, although Rush never included a voice clip of Owen Wilson saying “Wow!”. Perhaps the low point of the song is the outro which, quite like The Dark Eternal Night before it, has a slower chugging 4/4 riff as a vehicle for a Jordan Rudess keyboard solo. It’s not bad by any means but simply feels like a let down after what came before, once again recycling old tropes. At Wit’s End follows, and despite being the longest track on the album at nine-and-a-half minutes it’s not particularly memorable, simply because it is standard Dream Theater fare and nothing else. It’s not actively bad like Untethered Angel; there’s a fair amount of creativity with the instrumental, the musicianship is extraordinary as expected and the song is indeed well-crafted. But it still fails to find that spark that made so many earlier epics such as Learning to Live or Scarred brilliant. The ending is also overwrought somewhat, with the repeating chord sequence at the end failing to capture the magic of say The Ministry of Lost Souls or Finally Free, or indeed Learning to Live and Scarred. There’s even a weird mini-reprise which does nothing more than add to the running time. The only thing I will remember the song for is the mistaken lyric in the second verse which I cannot help but hear each time “Febreze the hate and your apathy”. Out of Reach feels like little more than filler. At four minutes this is an accessible rock-ballad track that might have made a better single than Paralyzed, or indeed Untethered Angel. It probably should have been on a LaBrie solo album since I get absolutely no emotion from listening to it. Next. Pale Blue Dot brings the metal and the prog in equal measures to deliver a satisfying, if not quite a hearty finale. It is extremely gratifying to see Dream Theater make music of this quality once again, especially after so many misfires. Strangely enough, the funky bonus track Viper King found on some versions of Distance Over Time, is superior to many of the standard tracks on the album. It’s a strong track because of its groove, despite retaining that trademark Dream Theater metal sound. I feel like the band must have had an identity crisis after recording the track and in a moment of madness thought “We can’t put this on the album proper; it just doesn’t sound like us.” Yet that’s exactly why it’s so great. And that’s really the theme and the moral of this album. Yes, the band can still pump out the same tired old Dream Theater formula, and sound old and tired doing it, but once they start experimenting and trying new things, they can really sound rejuvenated. It’s also brave of the band to go two albums without a more ‘epic’ track, but we wouldn’t want another Illumination Theory, which sounded more like it was created out of obligation rather than inspiration. 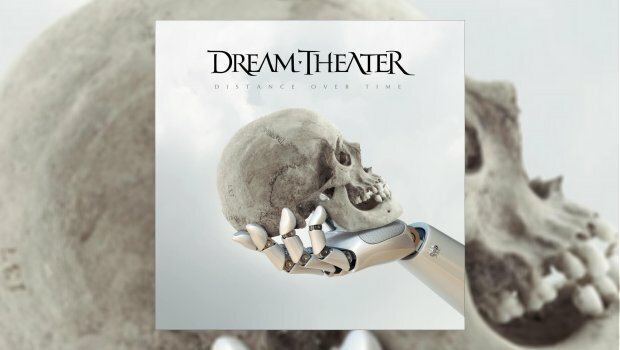 Distance Over Time is an album showing a new Dream Theater finally finding their feet. Let’s hope they can take the moderate success of this album and build upon it for an even greater 15th release.